The Indiana cycling champion was recently stripped of his world record and publicly reprimanded for failing a drug test — all because he had cow's liver for dinner one night. Carl Grove is not a cheater, despite what the headlines suggest. 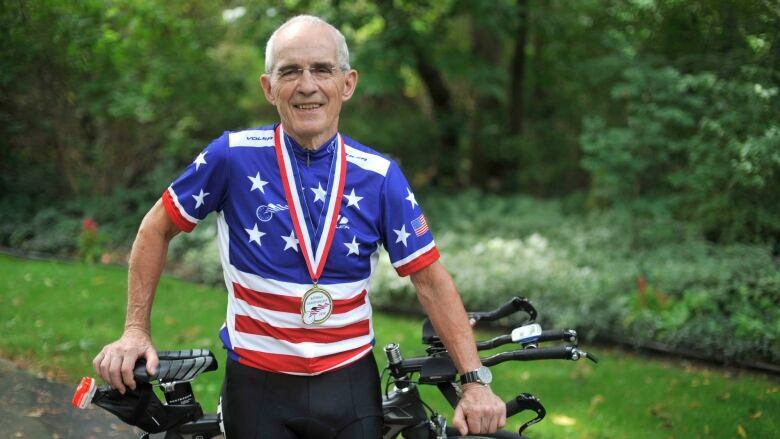 The 90-year-old Indiana cycling champion was recently stripped of his world record and publicly reprimanded for failing a drug test — all because he had cow's liver for dinner one night. "He was crushed," Tim Cusick, Grove's friend and former coach, told As It Happens host Carol Off. "But if we're going to have a sport that has appropriate anti-doping control, what I teach to all my athletes, including preaching it to Carl for 10-plus years, is you are responsible for what goes into your body." 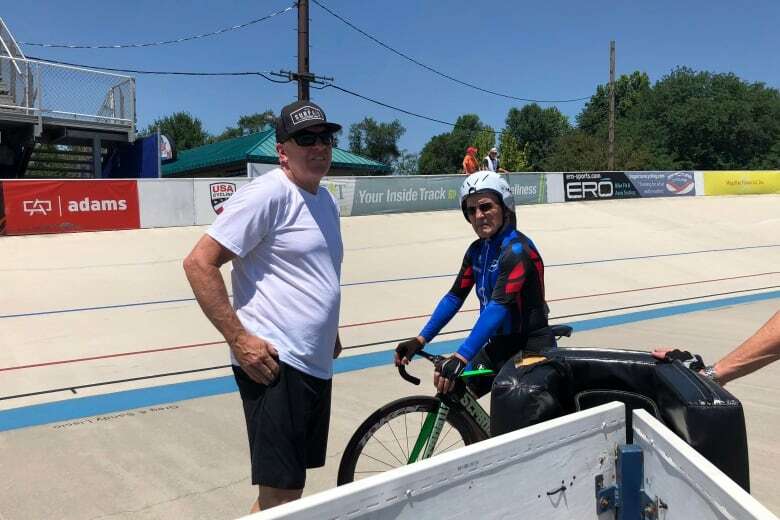 In July 2018, Grove came first in his age group at the Masters Track National Championships in Pennsylvania, setting a new world record. He was the lone competitor in the 90 to 94 category, but he also set faster times than competitors decades younger than him. It was just the latest of his many victories. 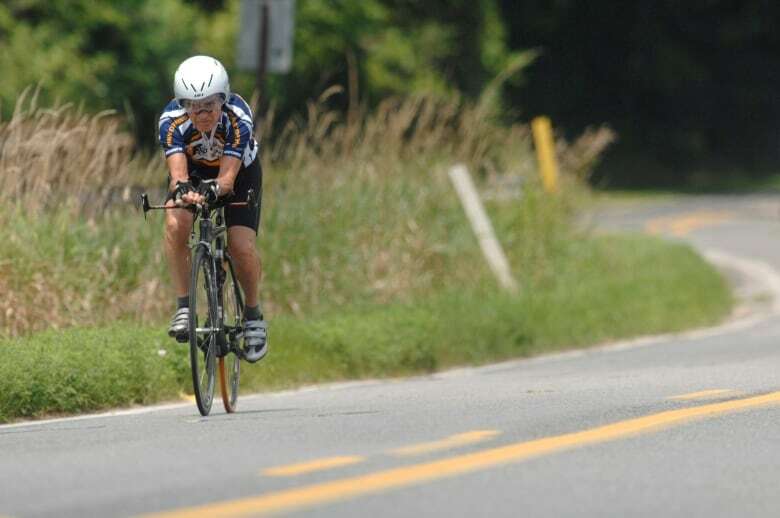 The avid cyclist and active living advocate has set age-group cycling records in the 80- and 90-year-old categories and accumulated 18 national championships. "I see all kinds of people that, man, they go up two or three or four steps and I hear them kind of pant and what have you. This country is not like it used to be," Grove told The Associated Press. But his winning streak was broken with the results of his urine test. At the end of last year, the U.S. Anti-Doping Agency informed Grove that traces of trenbolone, an anabolic steroid used by U.S. cattle farmers to bulk up livestock, were detected in his sample from the Masters Track. He was stripped of his gold medal. "I was really kind of down for a while. But I'm over it," Grove said, making his first and only public comments about the case to The Associated Press. USADA investigators found that Grove had not been doping. Rather, he was inadvertently contaminated, most likely from the cow's liver he ate at a local diner on July 10 to celebrate his gold medal win. They also determined that a supplement he was using prior to July 11, 2018, contained clomiphene — a drug used to treat fertility problems. As a result, he was issued a public warning for two violations. The headlines came fast and furious about the elderly cyclist who failed his drug test. Only some of them mentioned the meat. "They struck me from the records. I don't really care about that too much. The thing that I really, really care about is that I wanted to be a sterling, totally clean person in front of people that knew about me," Grove said. "Cases like this make us bang our head against the wall. The outcome is not right and it's a system gone awry," he said. As a coach and a friend to Grove, Cusick says he is of two minds about the situation. On the one hand, his heart goes out to Grove, who he called a "role model" who has been active his whole life and constantly pushes himself forward. "You don't want to see somebody who's trying to accomplish something great go through that type of emotion, go through that type of pain," he said. "There was a series of mitigating circumstances which created this scenario, and now he is stuck with that stigmatism, probably for the rest of his life." On the other hand, he said, rules are rules. "It's really, really challenging. It needs to change at a policy level. I believe that the USADA had no choice but to do what they did," he said. Now, Grove is just focusing on his next goal. "Everything is going forward with Carl," Cusick said. "He's always moving forward." Written by Sheena Goodyear with files from Associated Press. Interview with Tim Cusick produced by Sarah Jackson.